The meeting should have finished since 10 minutes but they keep on talking, you look at your watch and notice that you only have a few minutes until you need to leave the office so that you catch your train. Finally the call ended and you shutdown your machine, but then you get that message “Please do not power off or unplug your machine. Installing update 1 of 5”. Great, that train is probably going to leave without you. Well if this situation sounds familiar to you, here’s the good news. Next time when there you’re in a hurry before clicking on the Shutdown button have a look if the Button shows the Update sign. 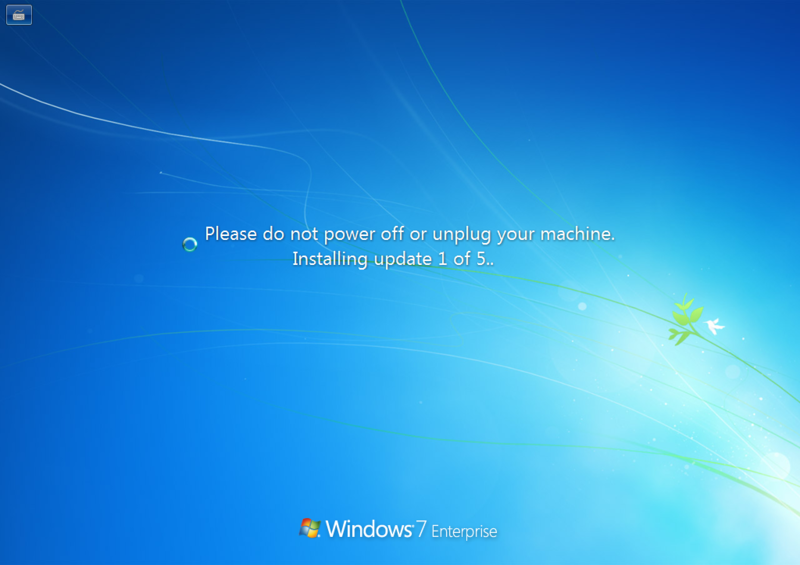 The update sign indicates that Windows will install pending updates before shutting down. Now if you are in a hurry and want to prevent Windows from installing updates before shutting down, simply press Ctrl+Alt+Delete and then select Shutdown, this will prevent Windows from installing pending updates. You’ll never miss a train or plain because of pending Updates.